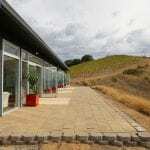 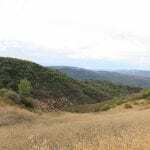 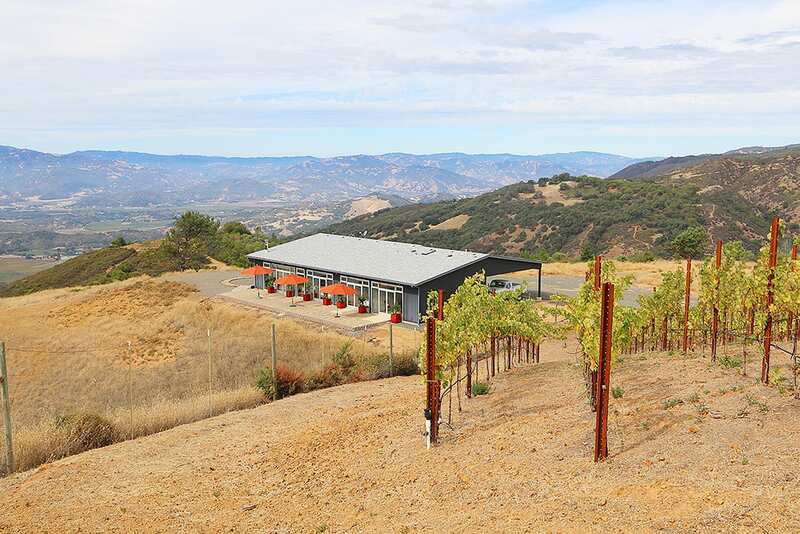 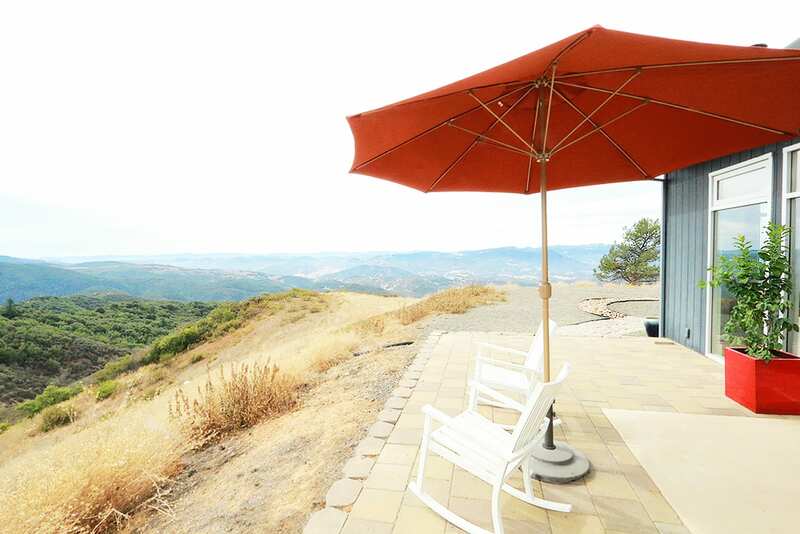 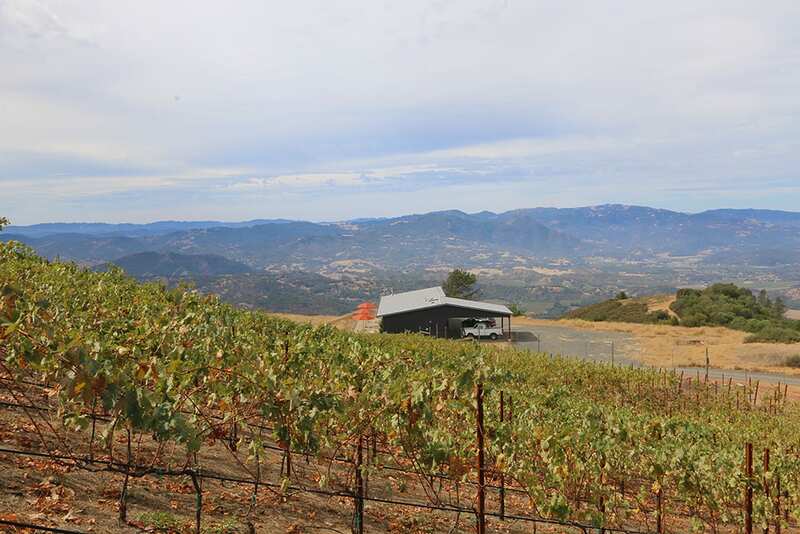 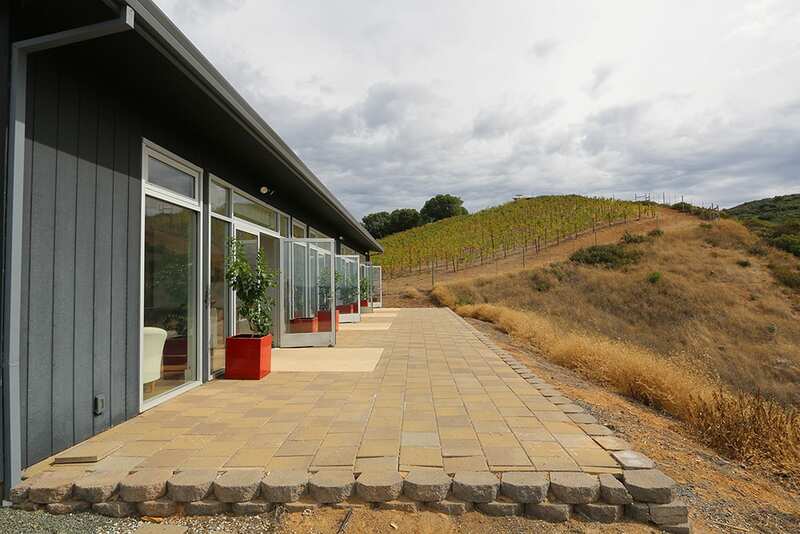 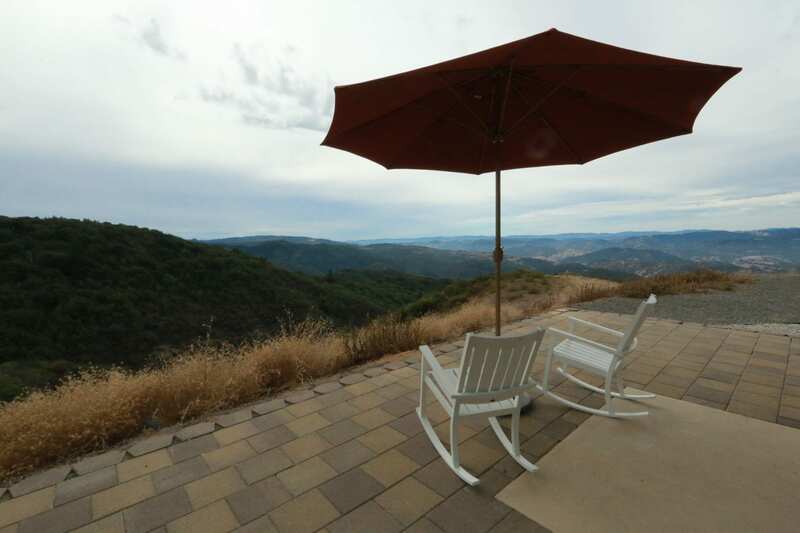 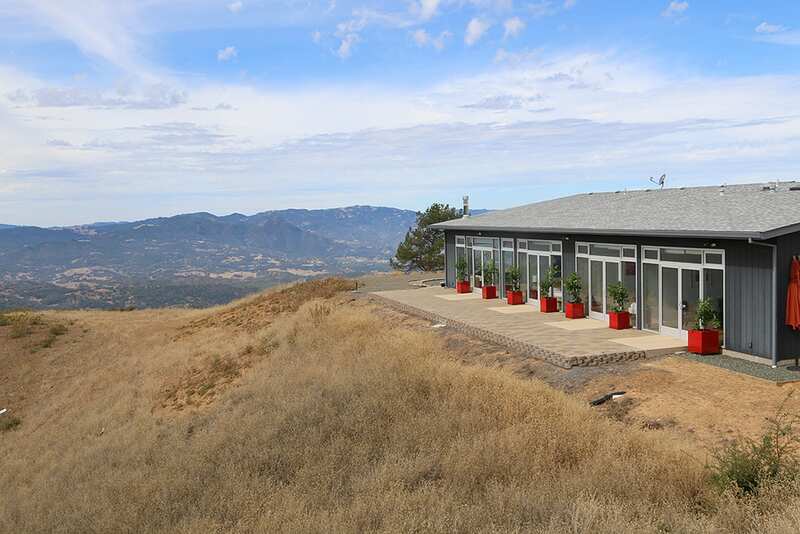 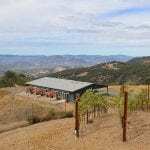 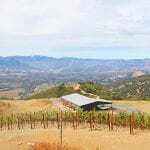 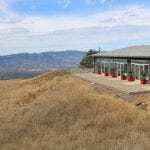 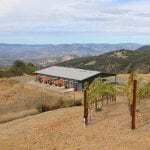 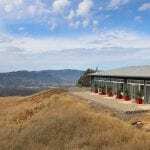 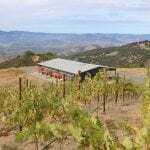 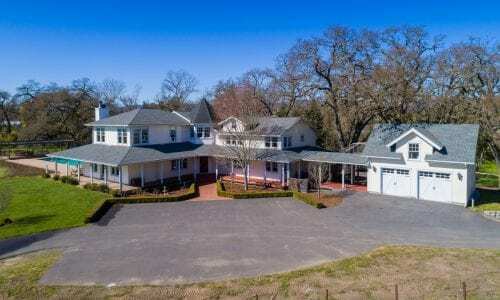 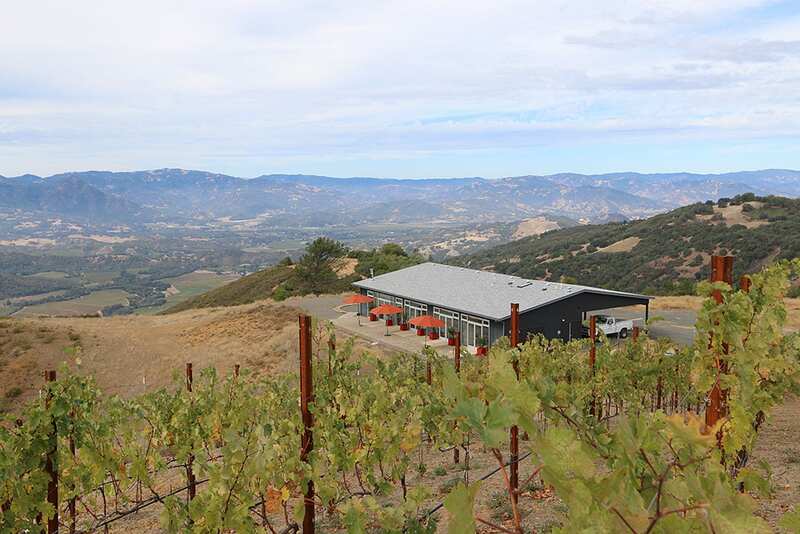 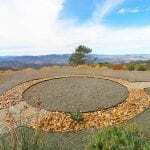 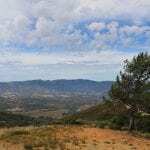 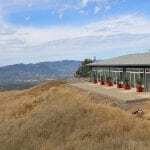 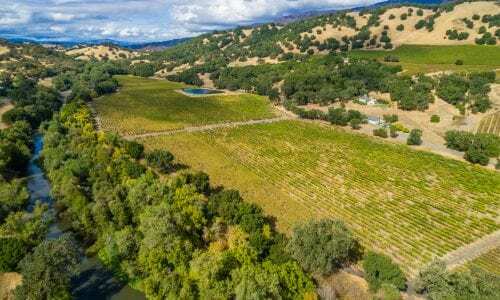 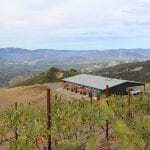 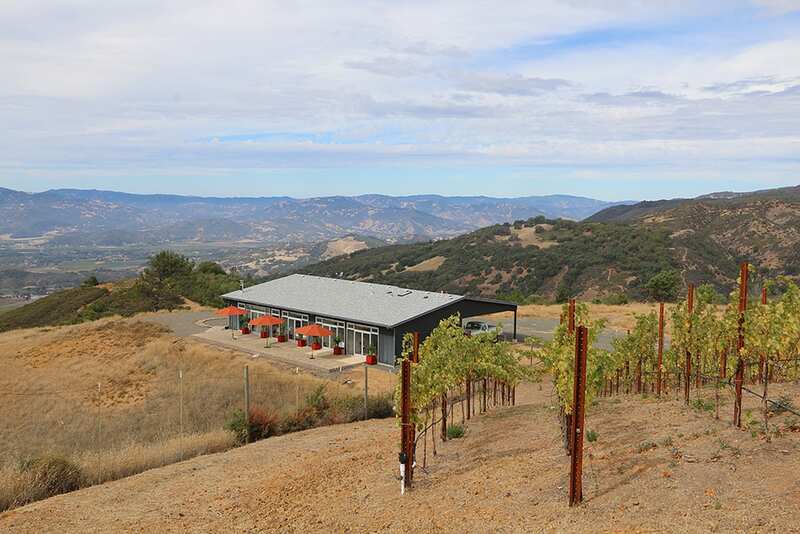 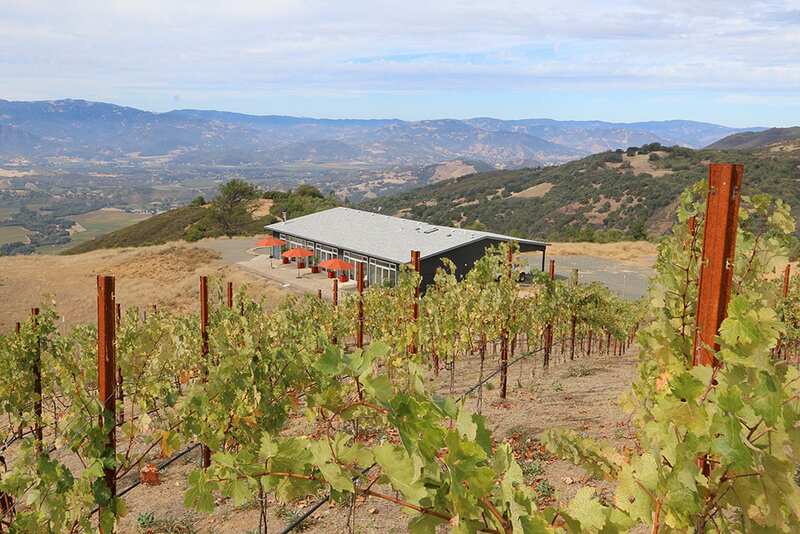 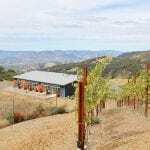 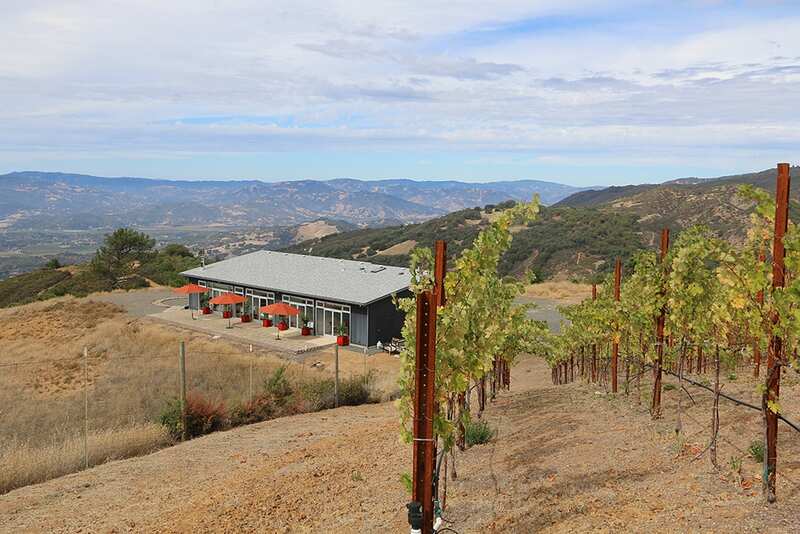 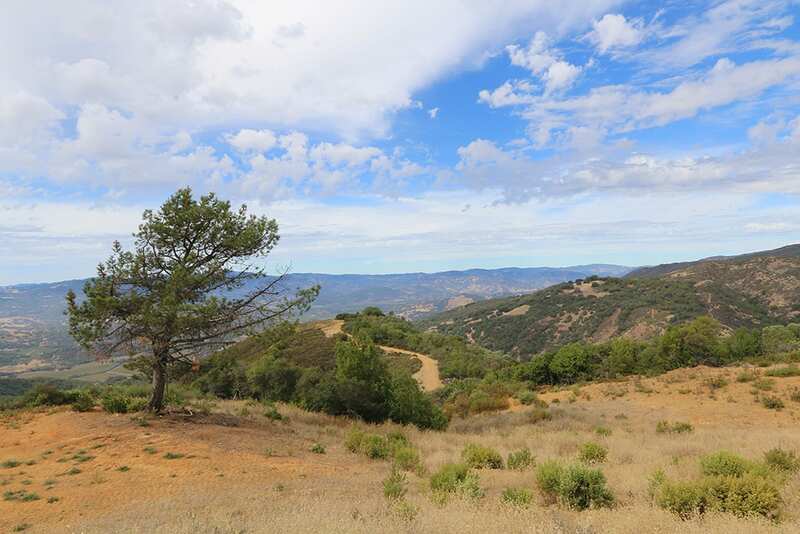 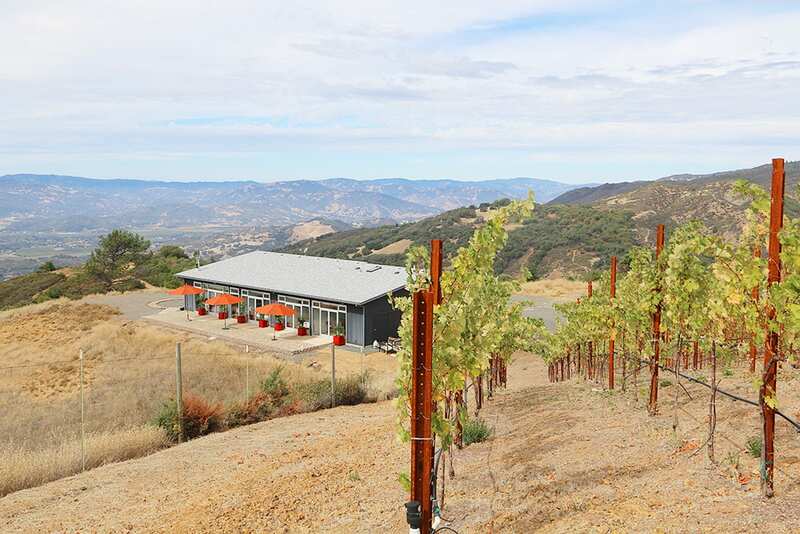 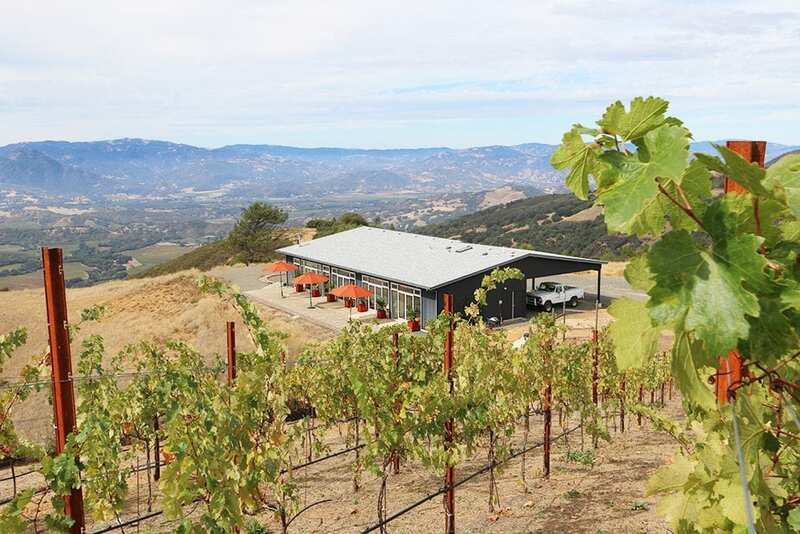 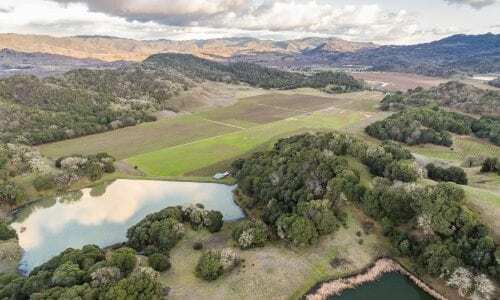 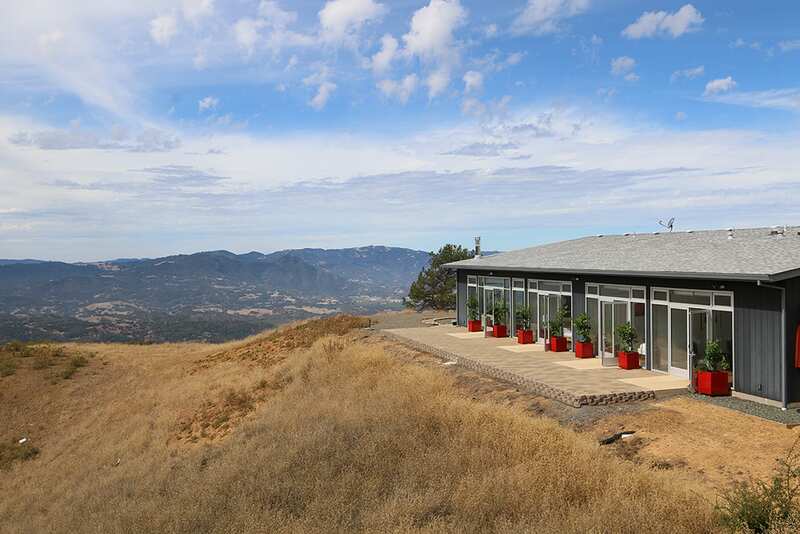 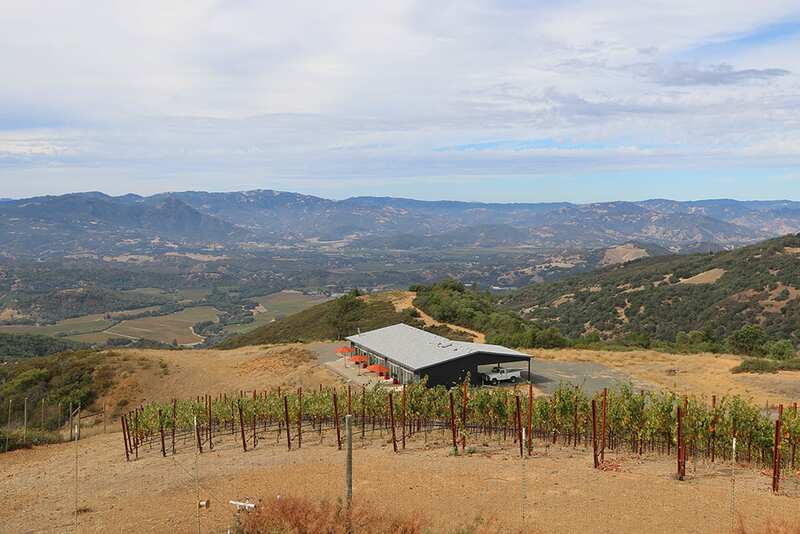 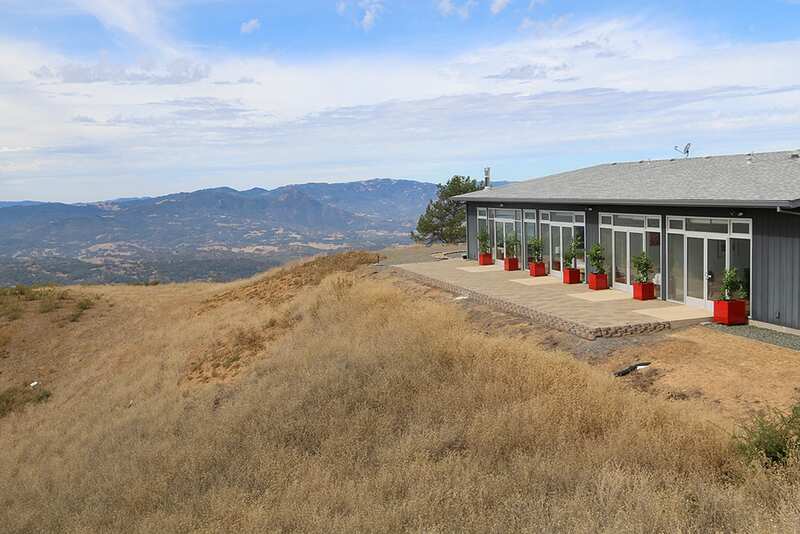 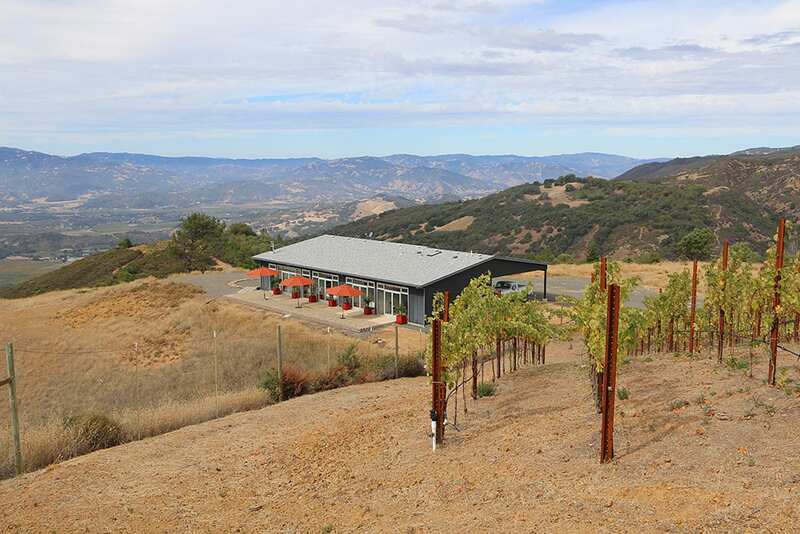 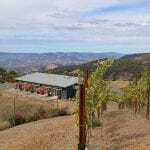 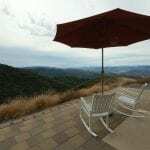 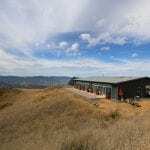 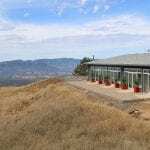 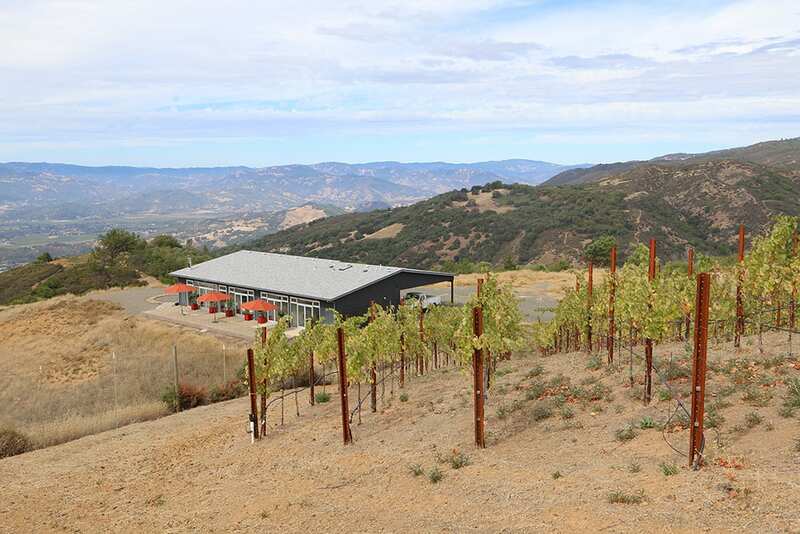 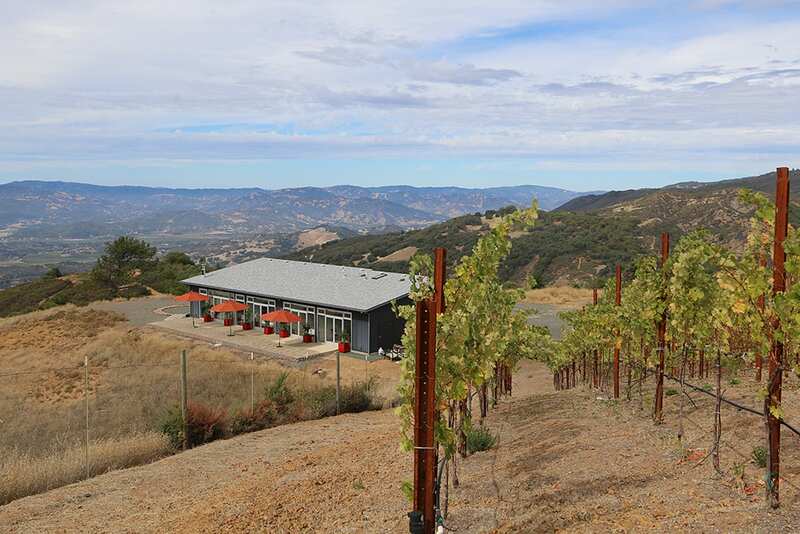 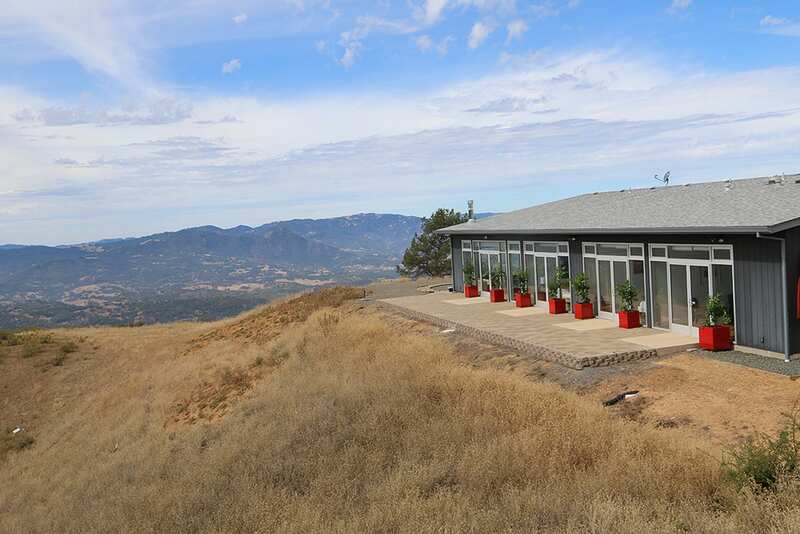 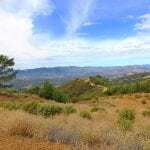 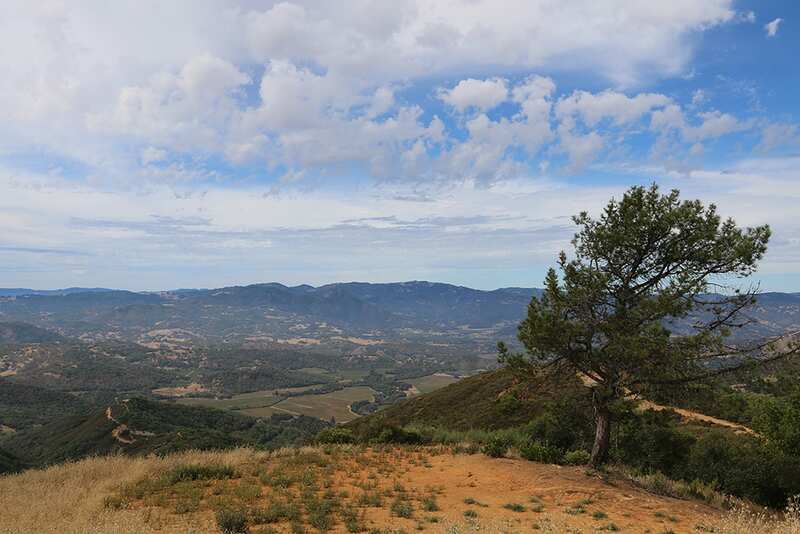 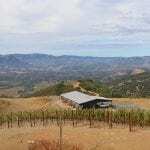 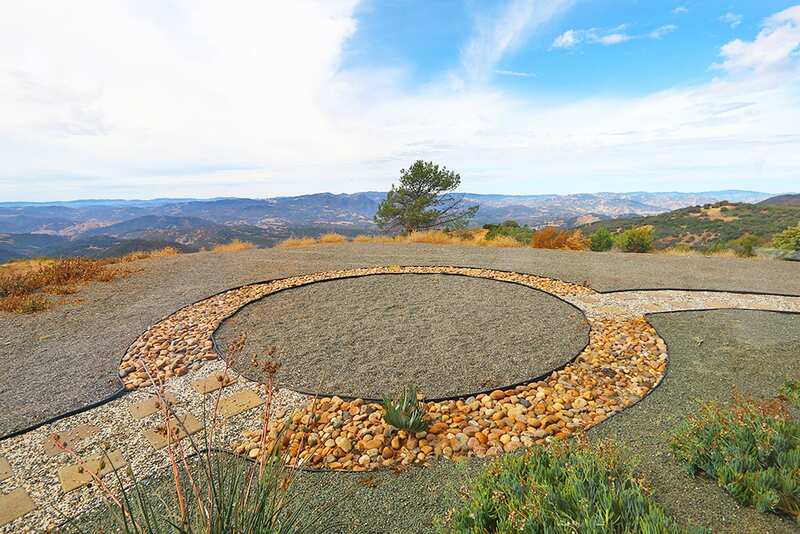 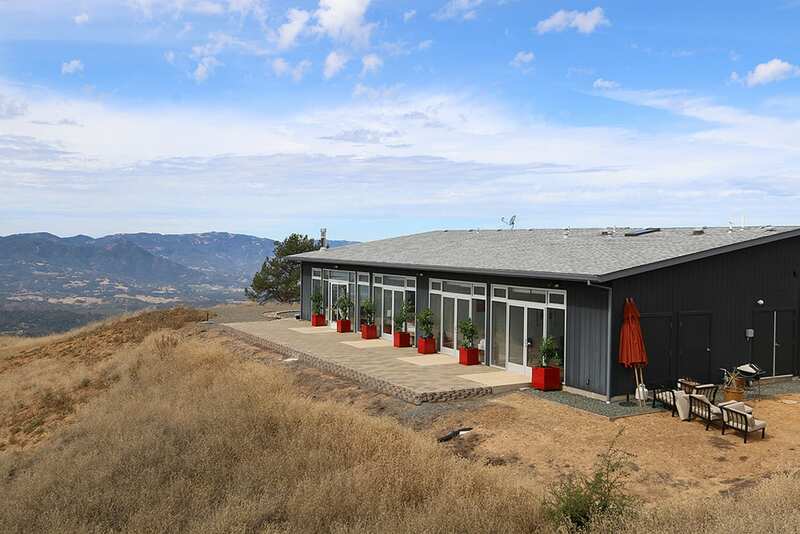 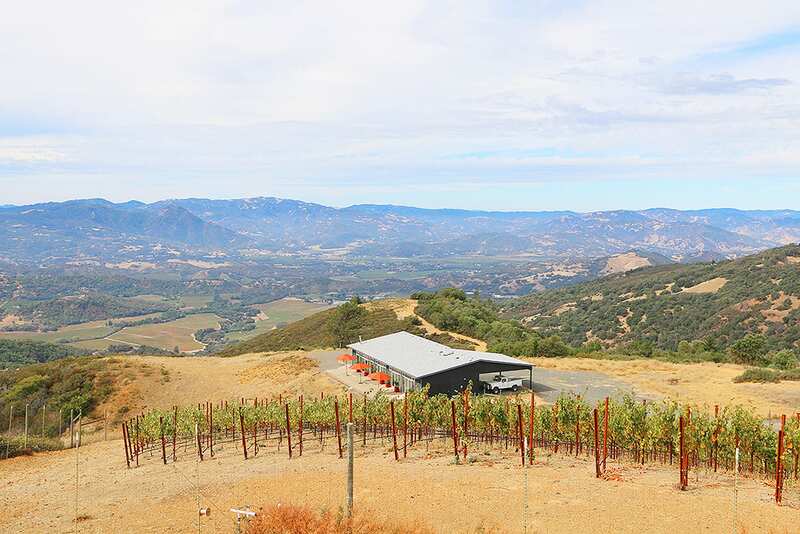 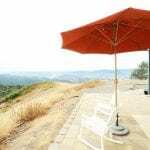 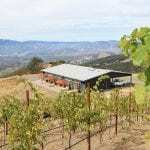 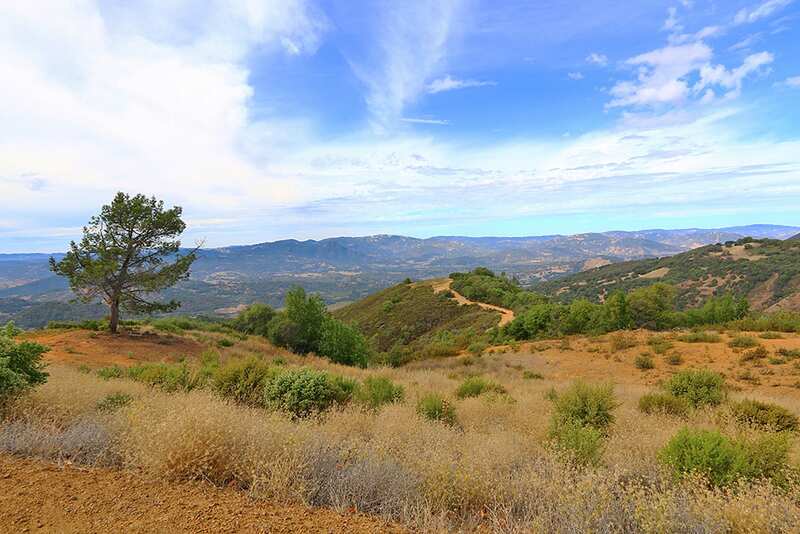 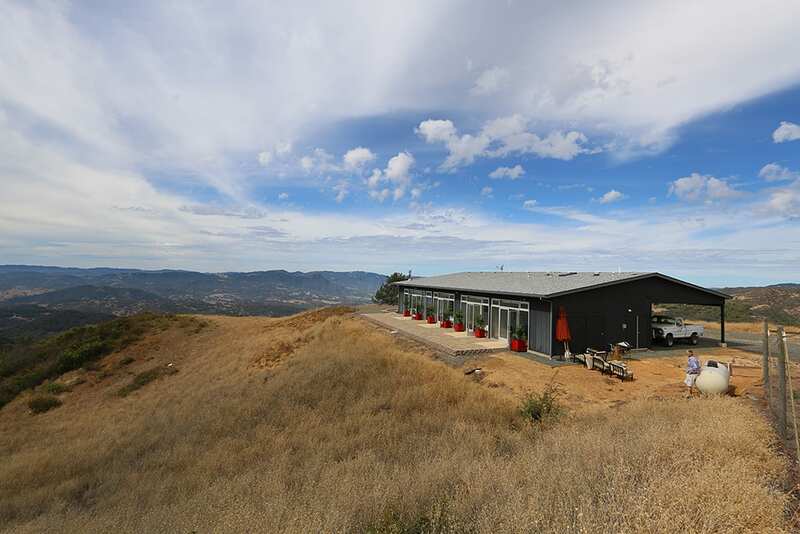 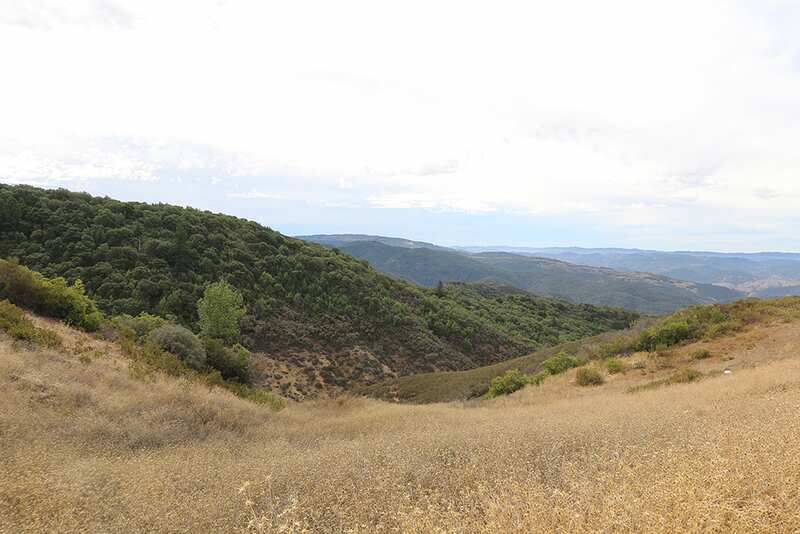 Perched on a highly desired Mayacamas mountain top at a mountain elevation of 2518’, this modern turn-key vineyard estate is situated on 41+ acres. 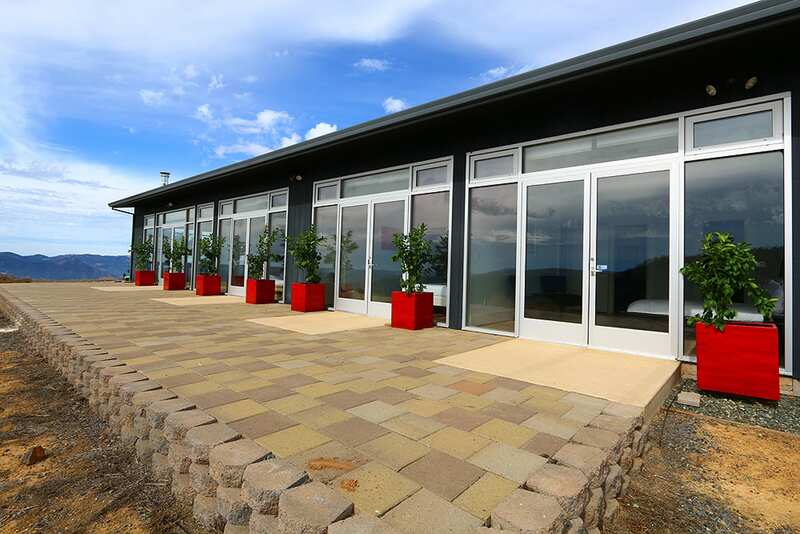 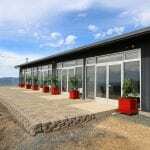 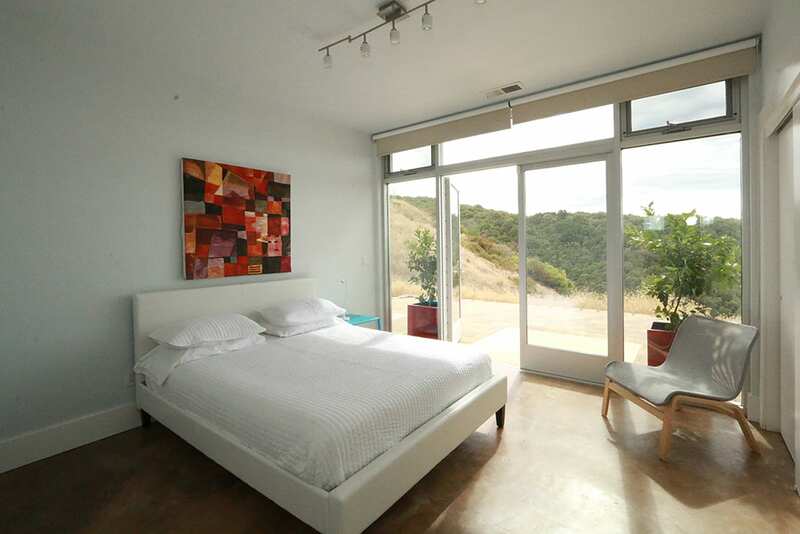 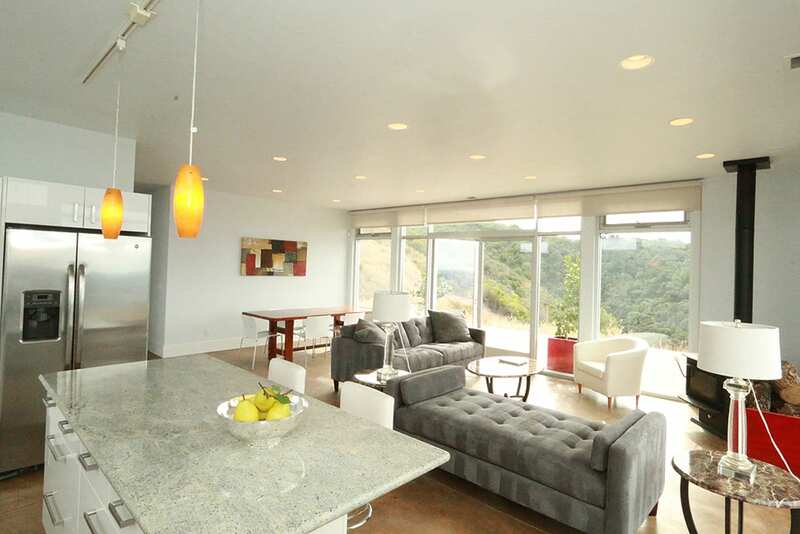 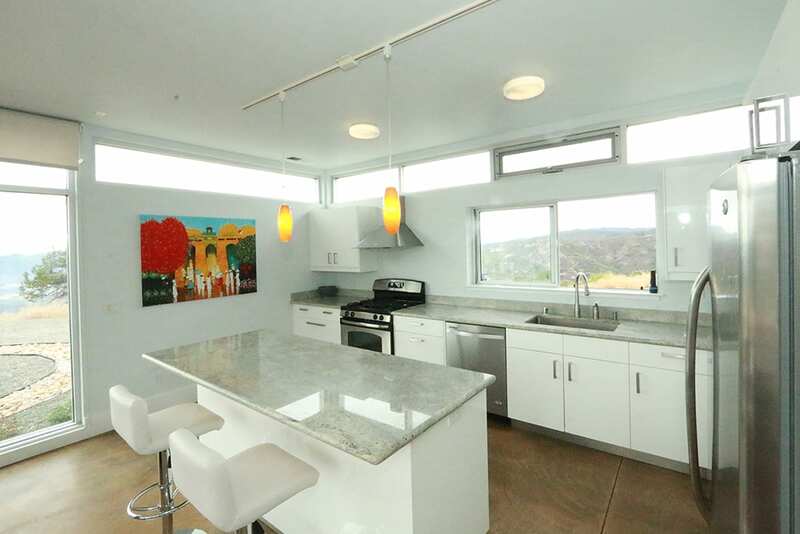 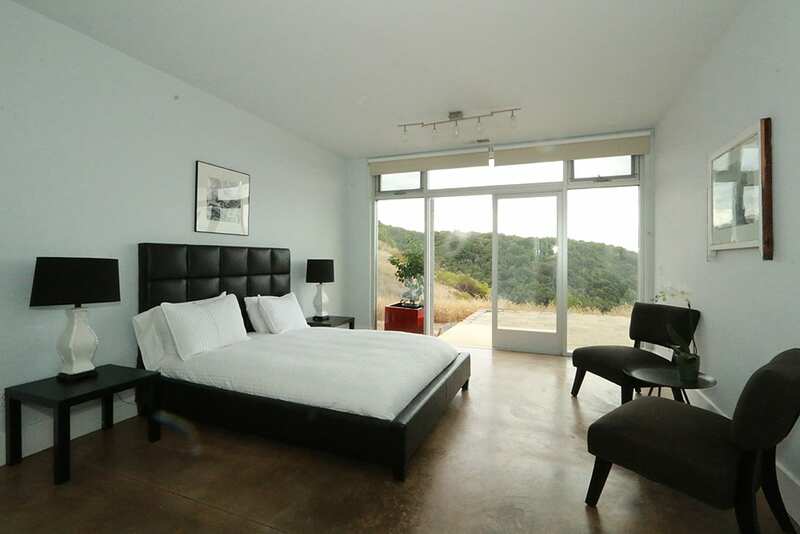 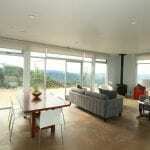 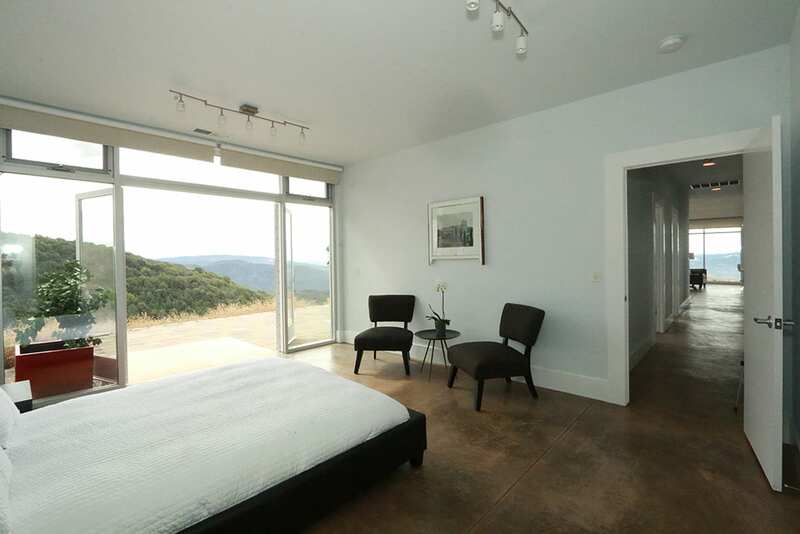 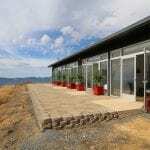 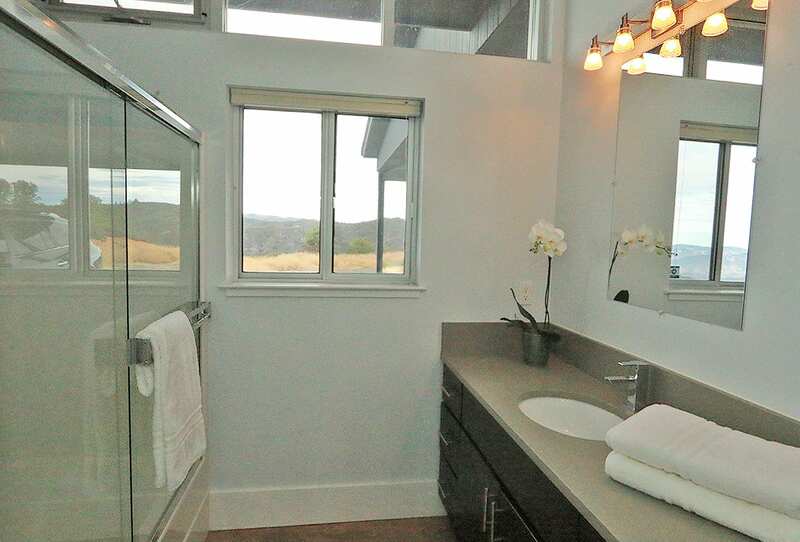 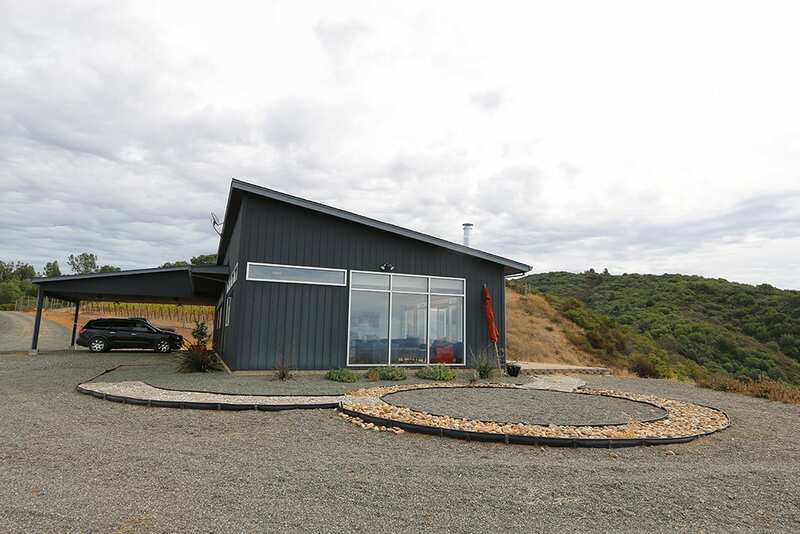 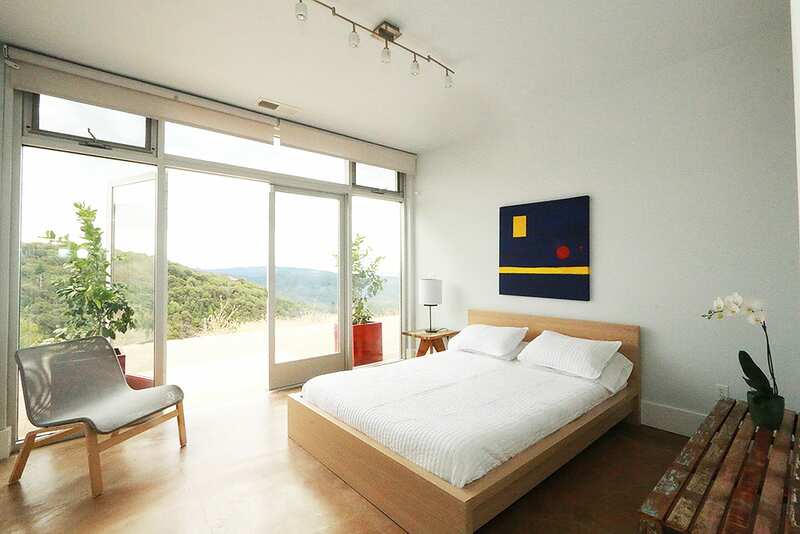 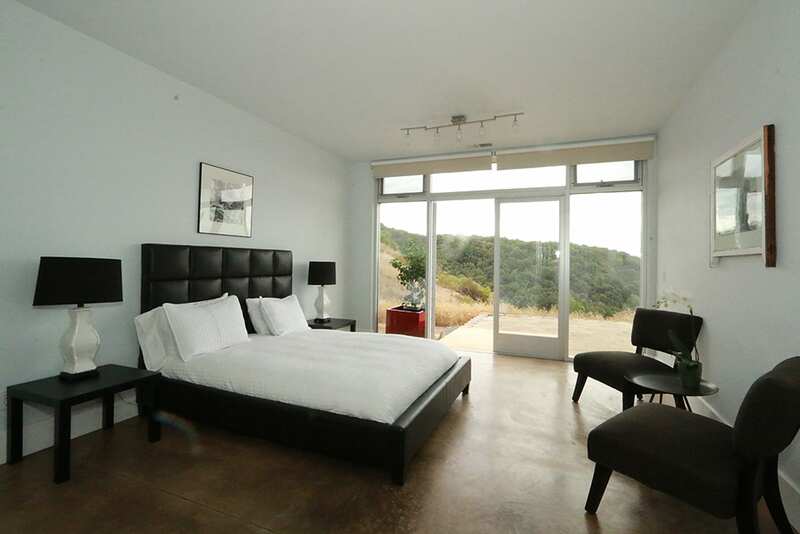 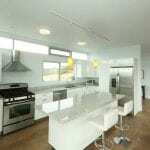 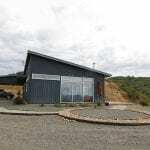 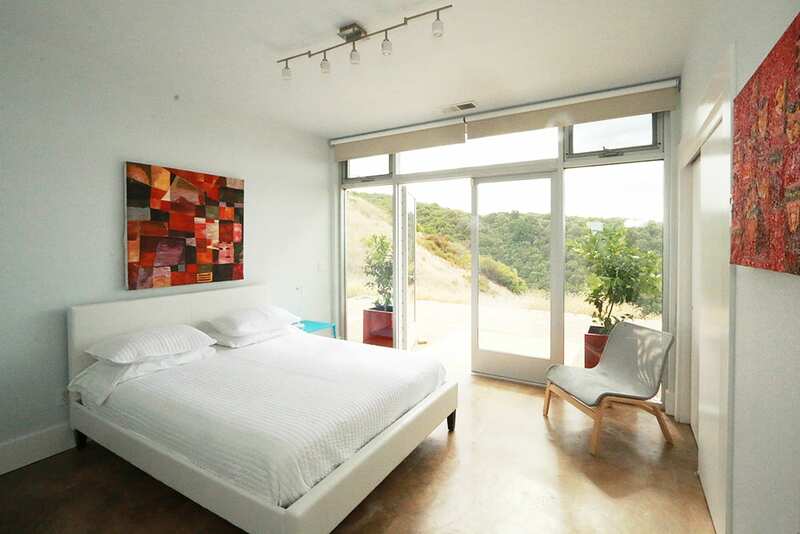 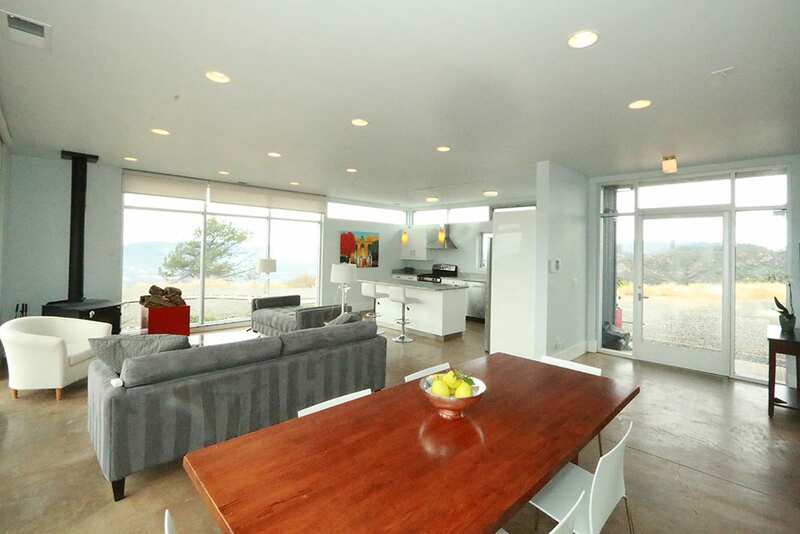 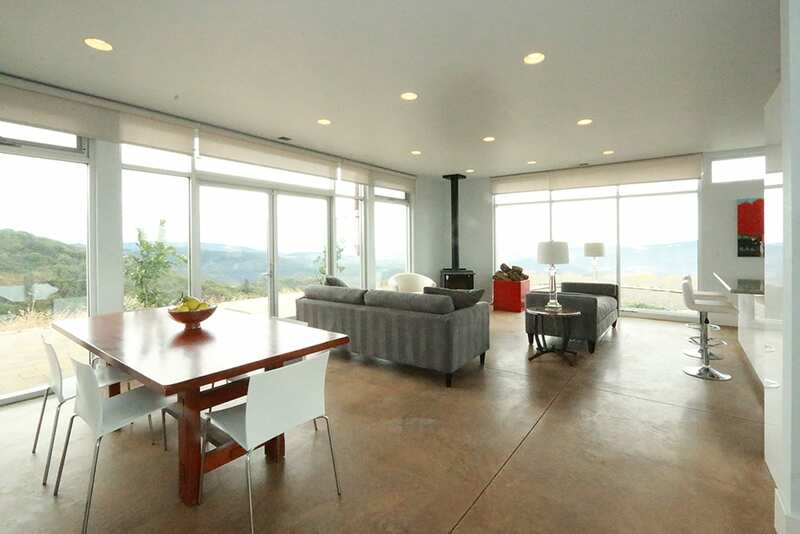 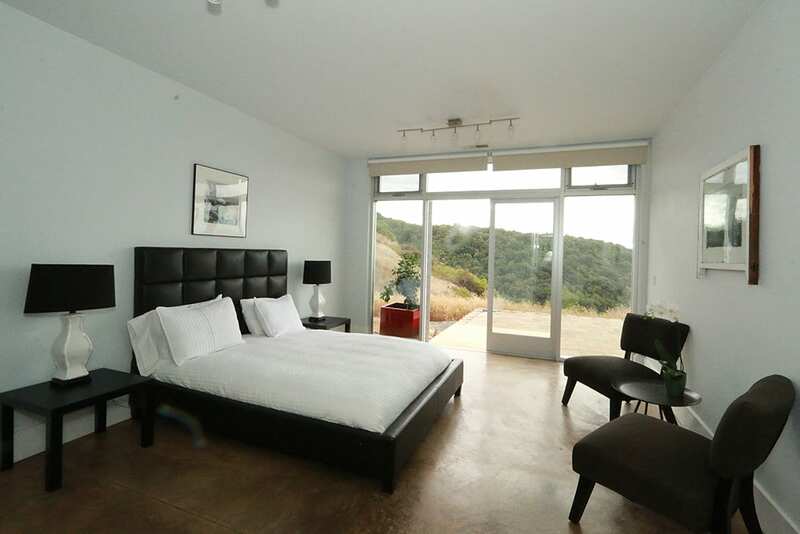 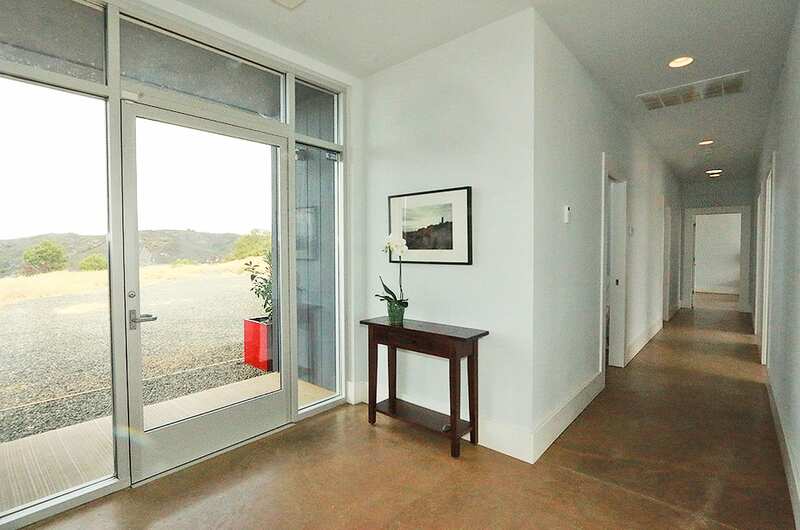 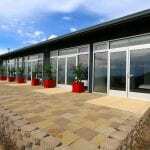 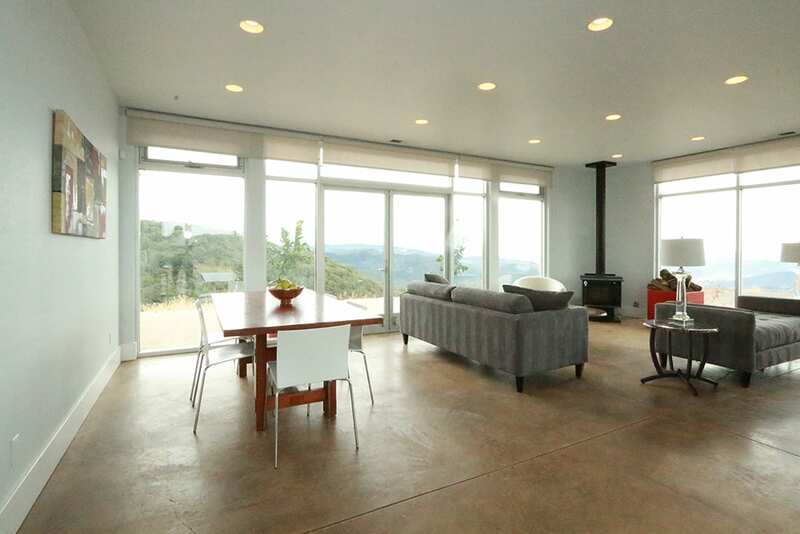 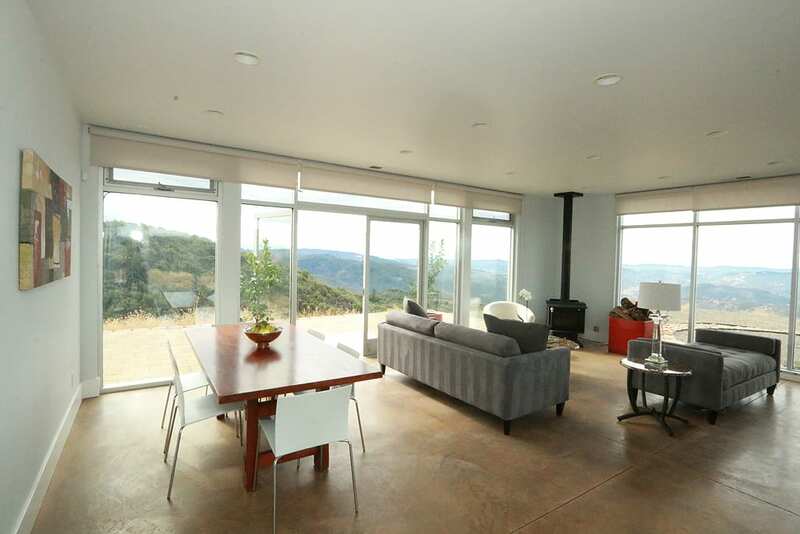 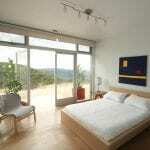 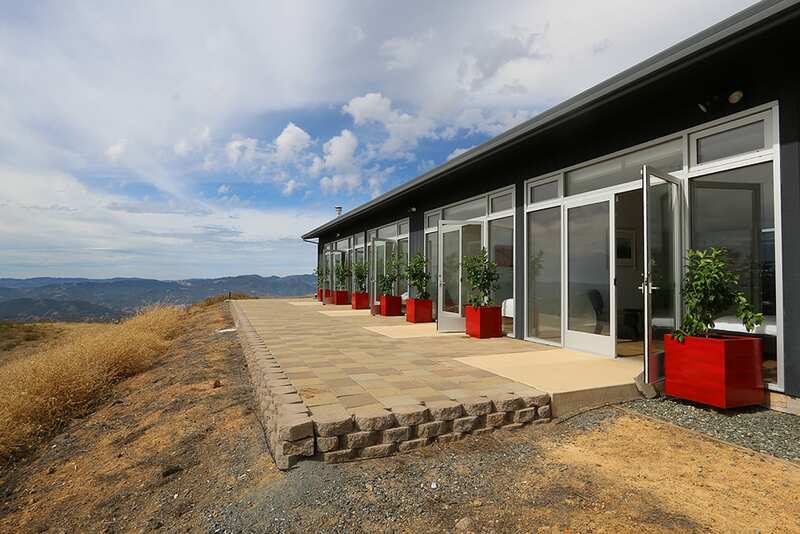 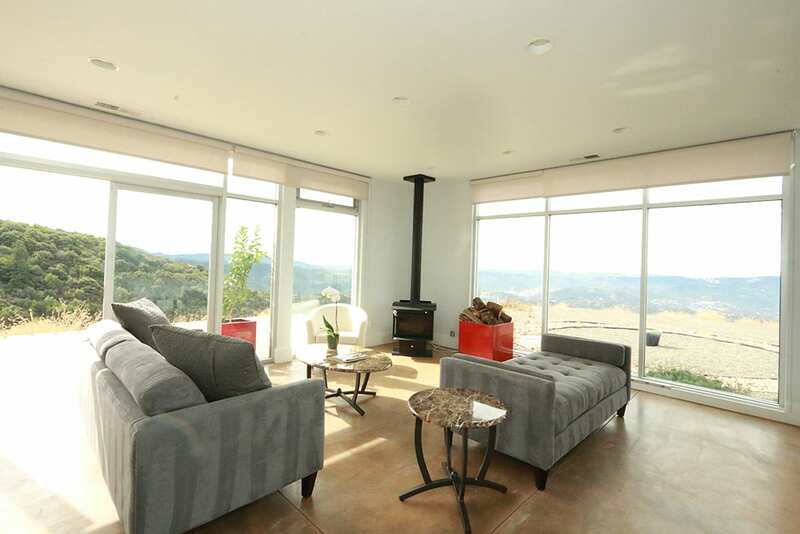 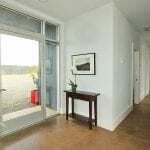 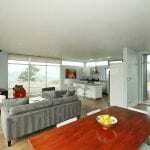 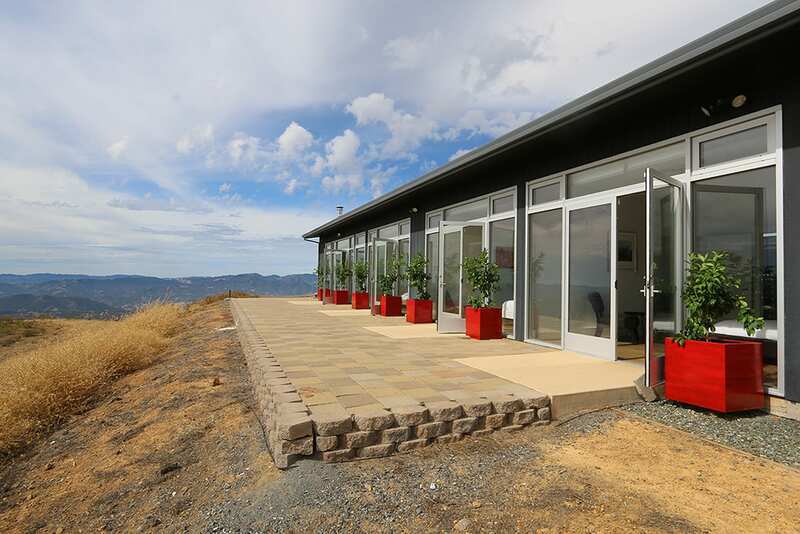 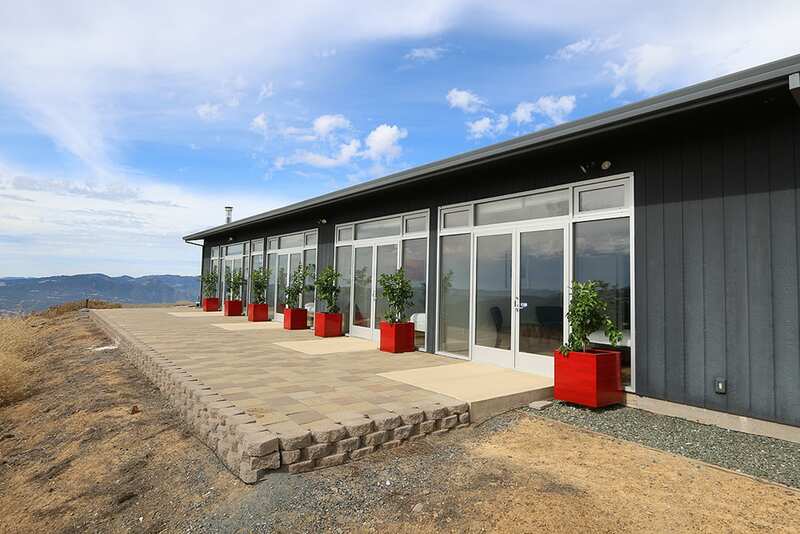 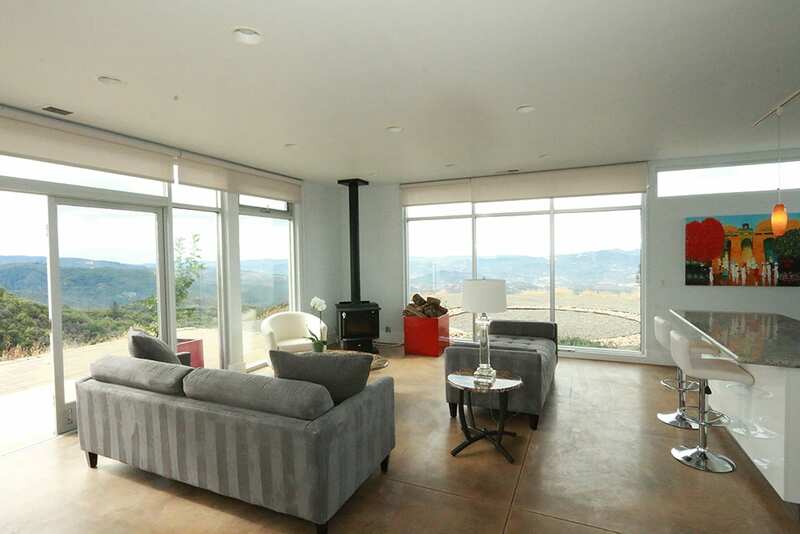 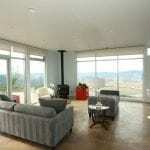 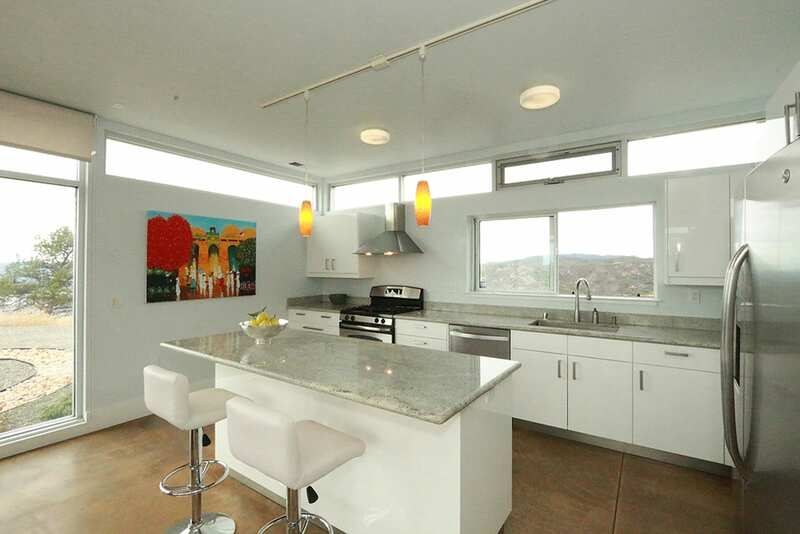 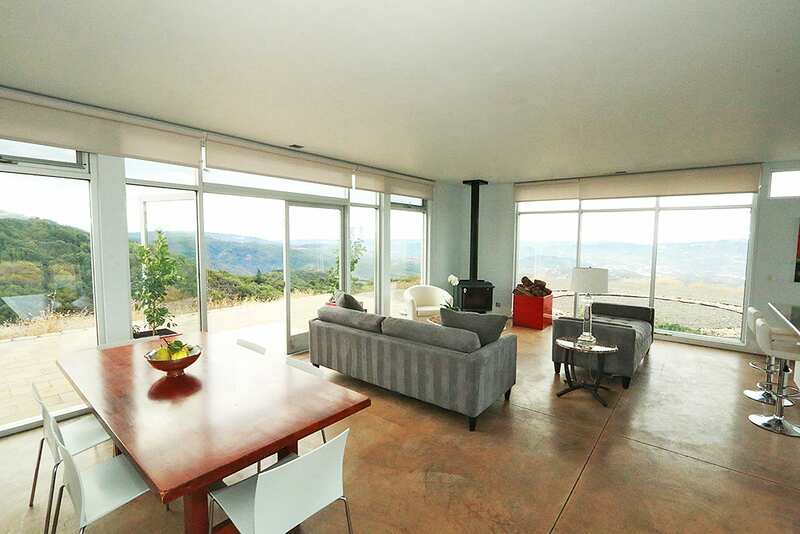 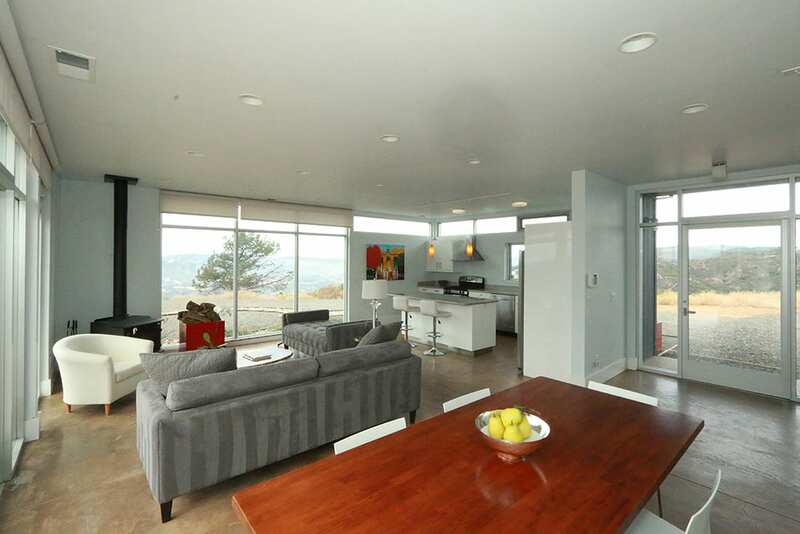 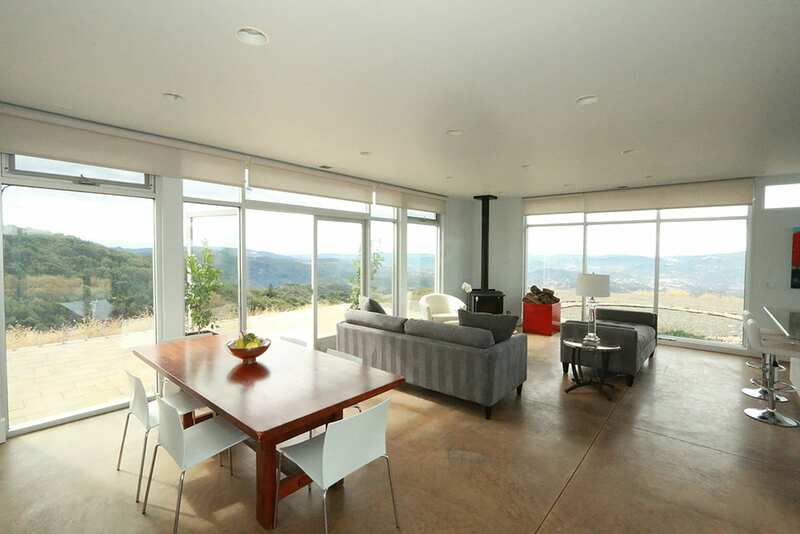 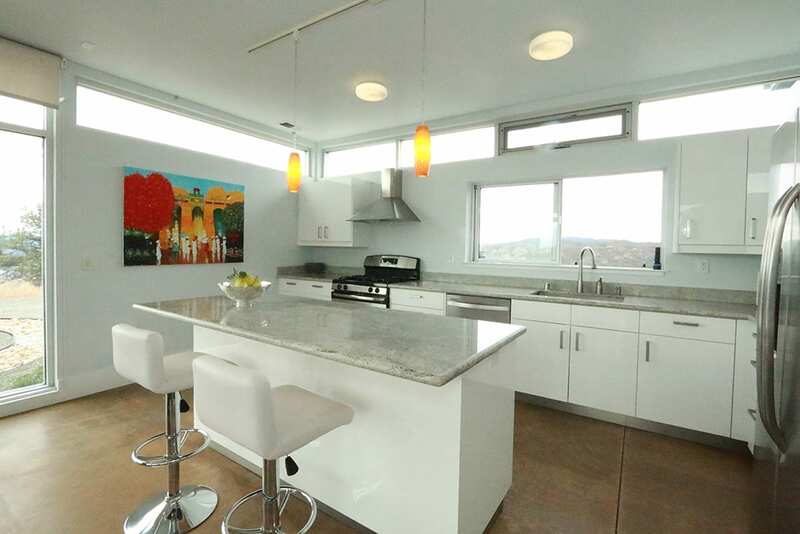 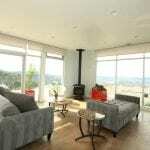 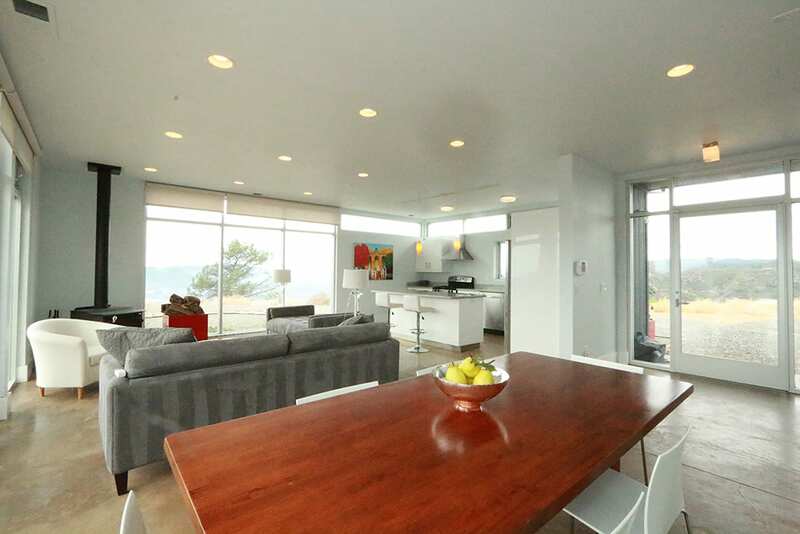 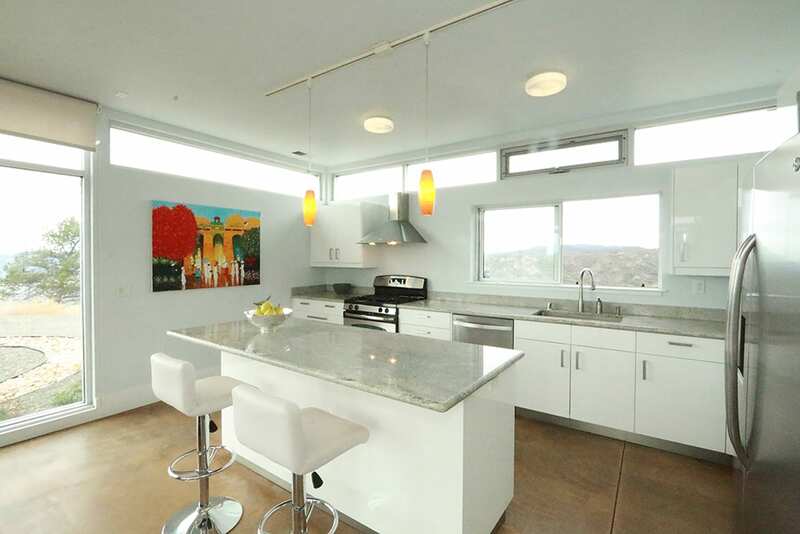 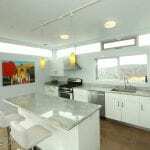 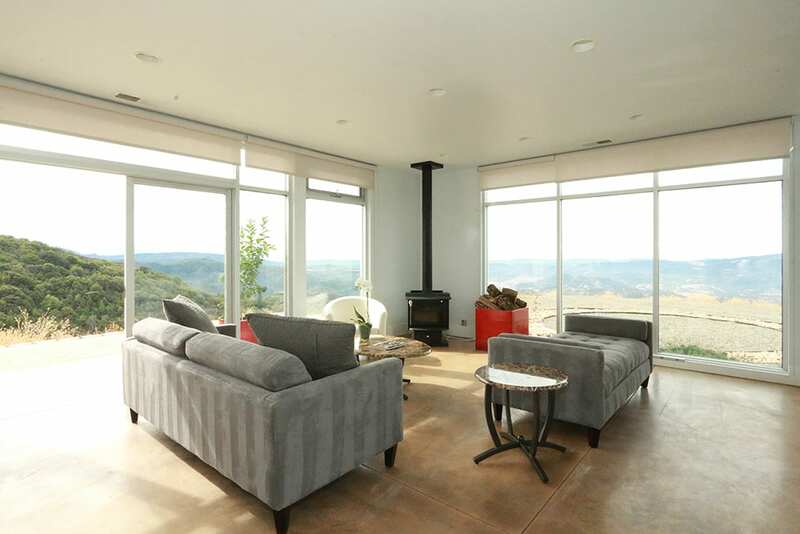 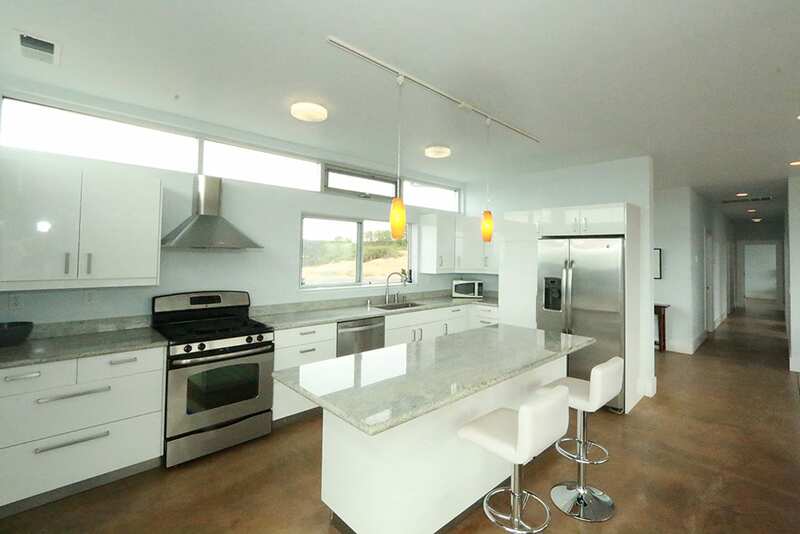 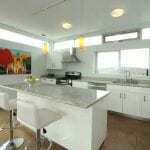 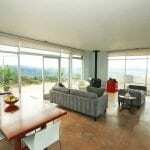 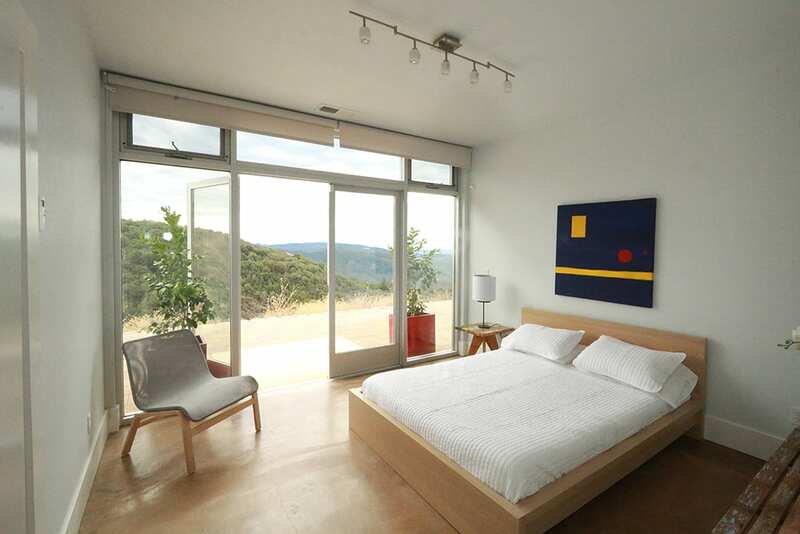 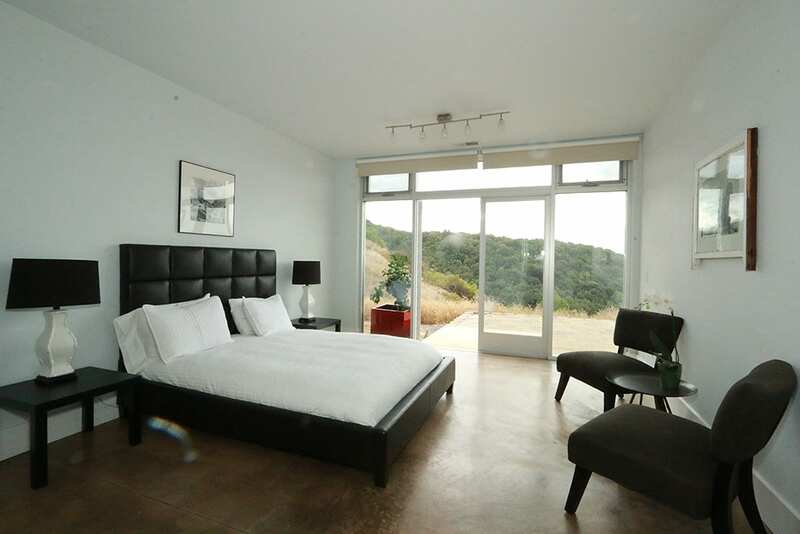 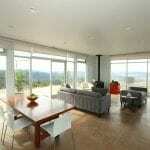 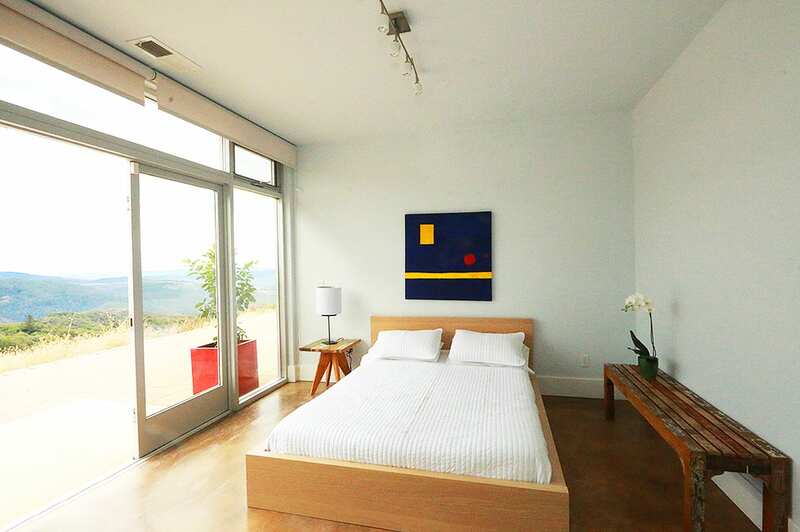 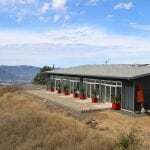 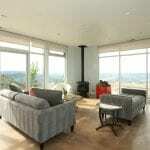 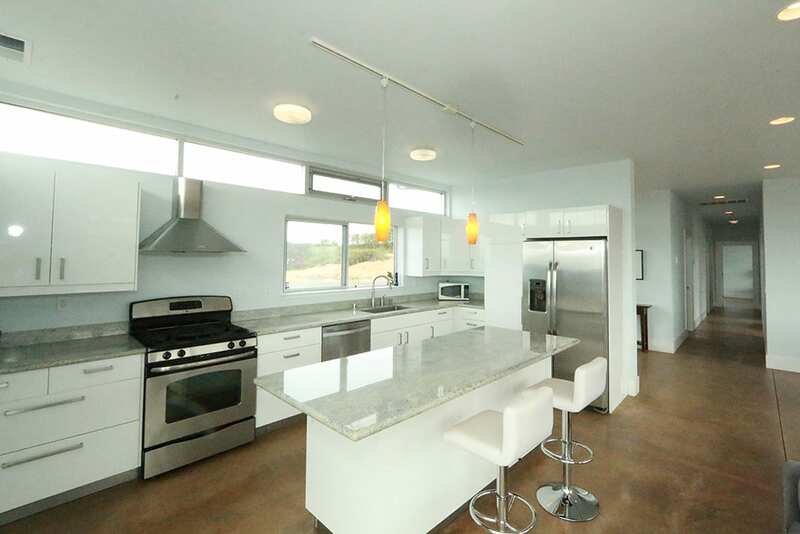 The single level 1,720 square foot residence was built in 2010 and features radiant concrete flooring and floor to ceiling windows and doors that capture the sweeping valley and mountain views in all directions. 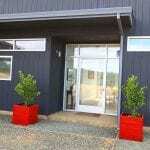 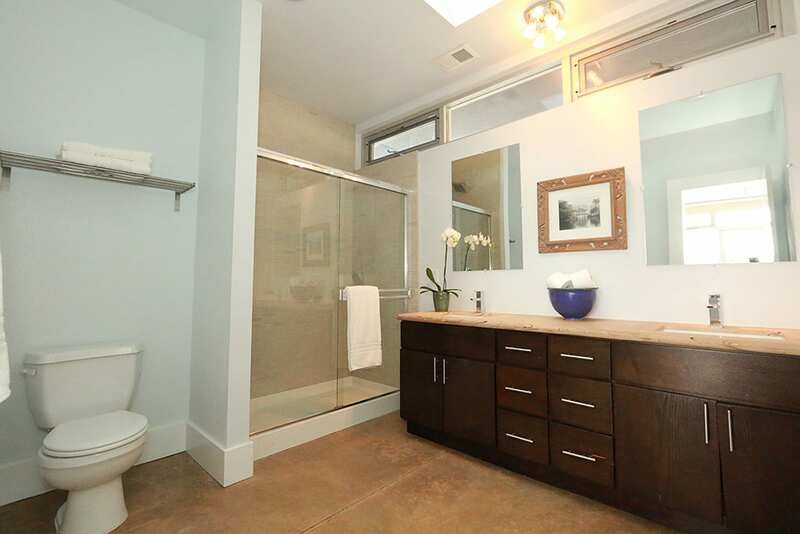 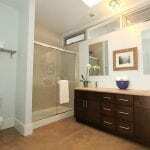 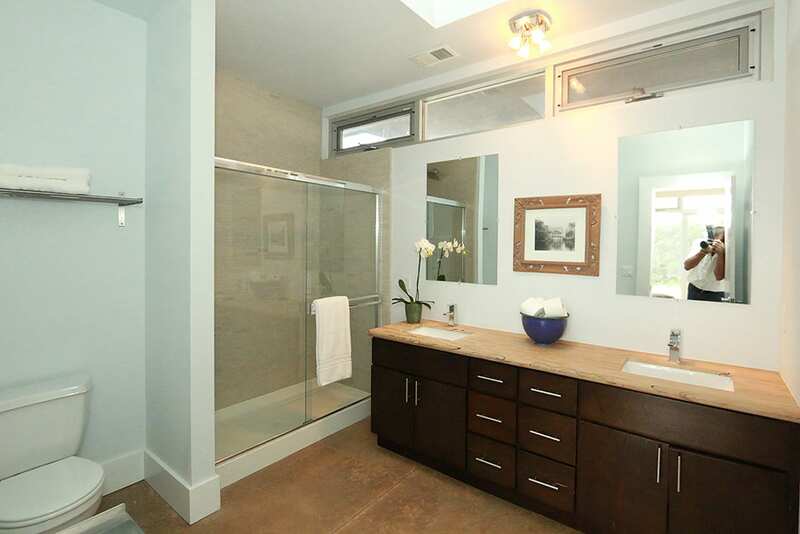 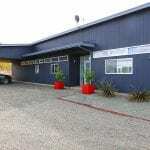 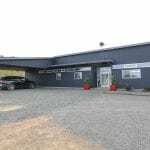 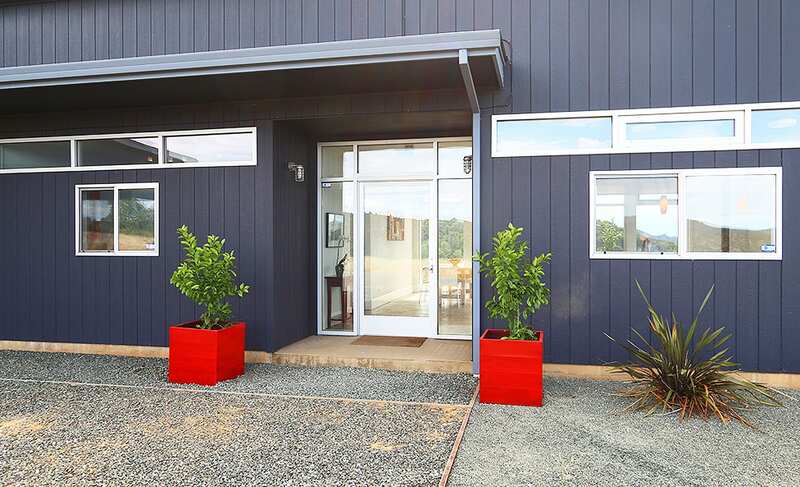 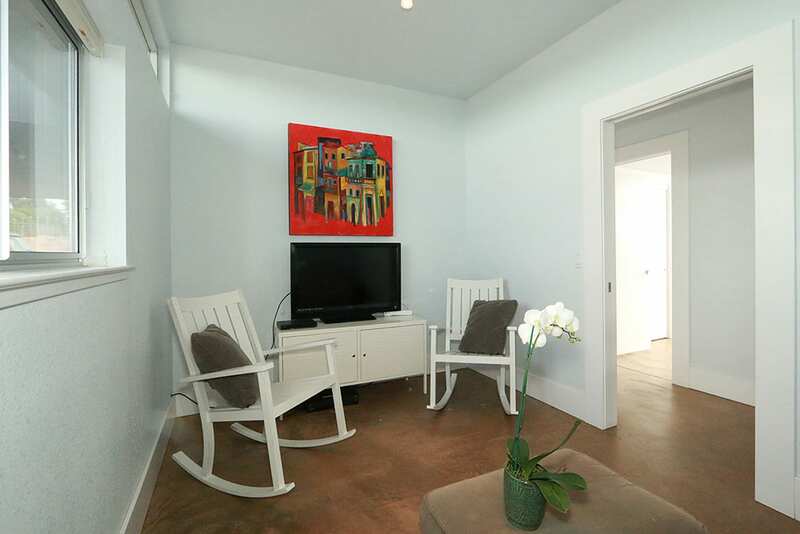 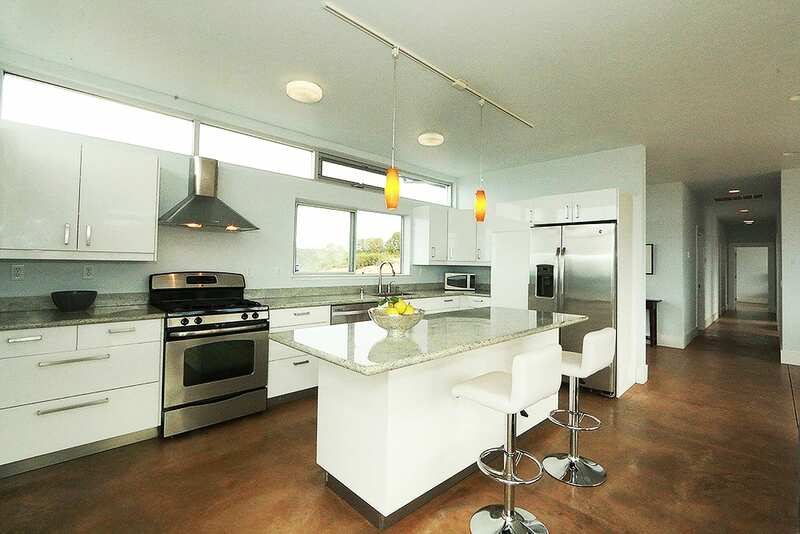 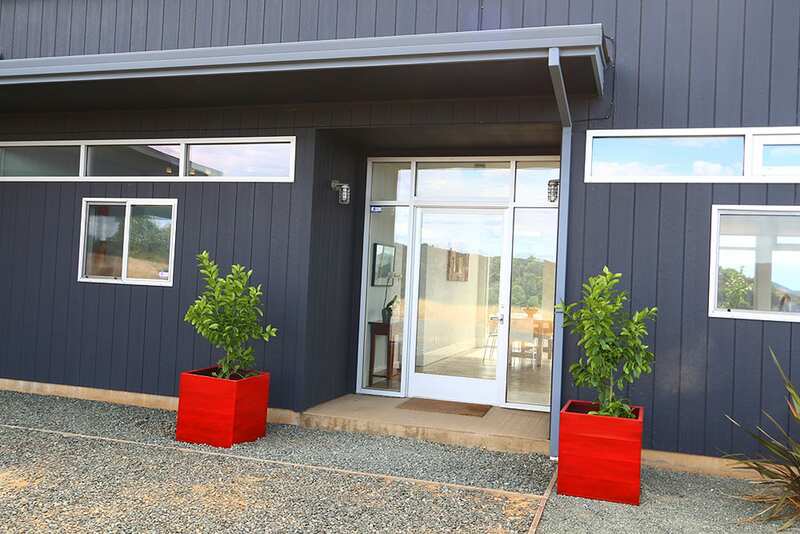 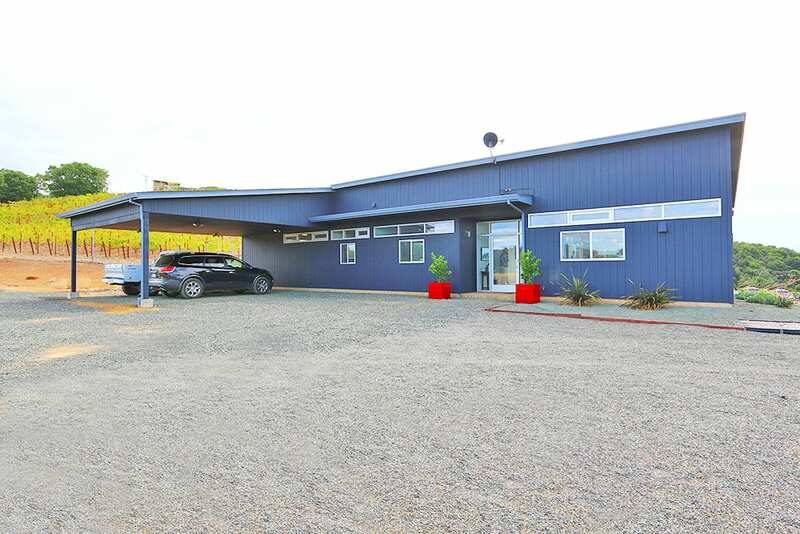 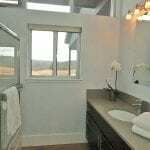 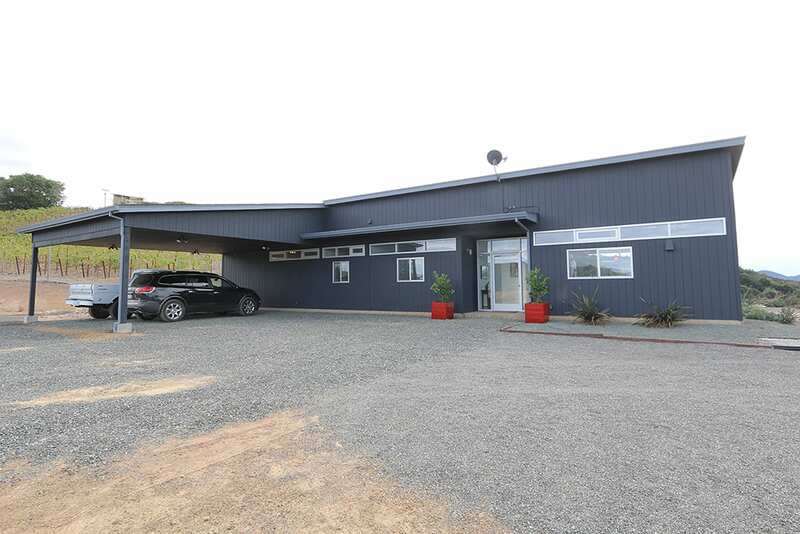 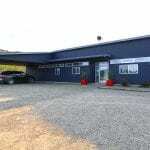 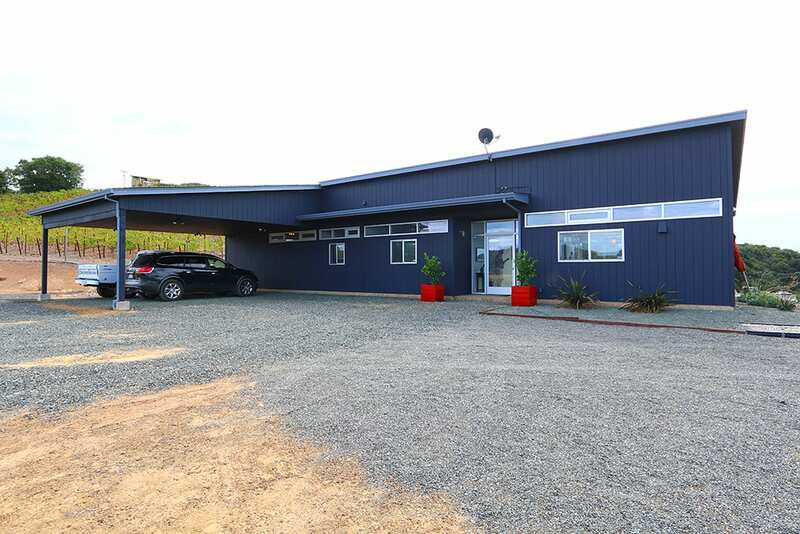 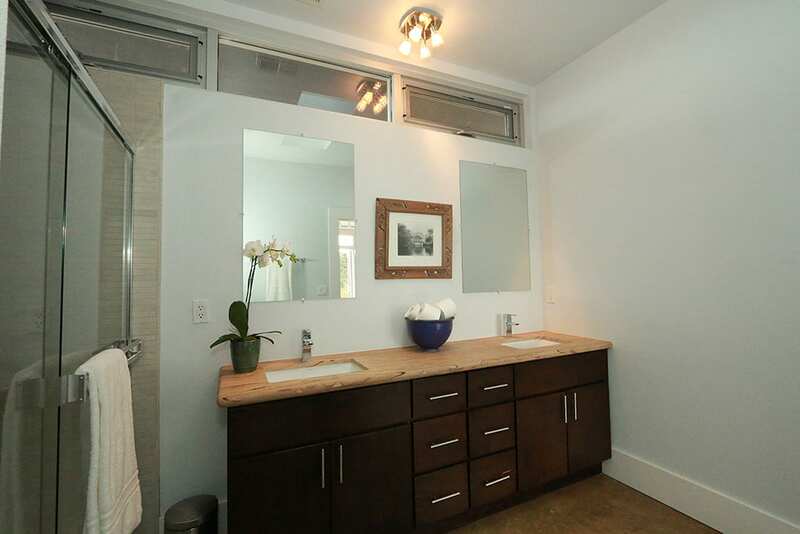 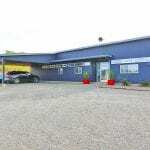 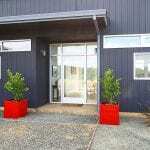 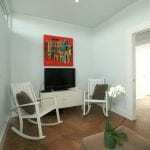 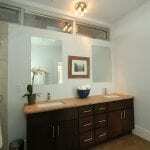 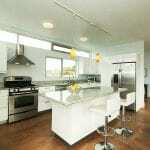 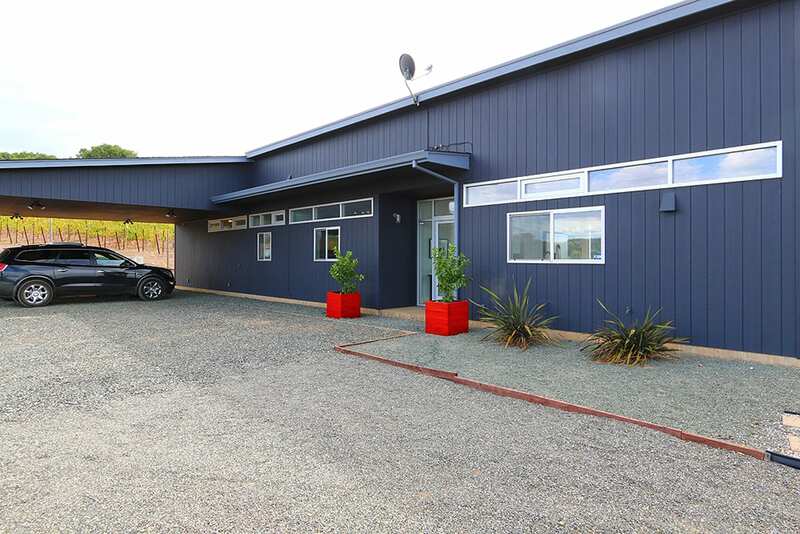 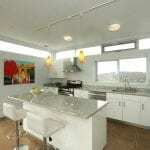 3 bedrooms, 2 bathrooms, office, and a gorgeous modern kitchen. 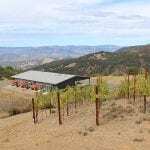 The boutique Bordeaux vineyard is planted with 1,916 vines capable of producing cult quality fruit on its sunny mountain slope. 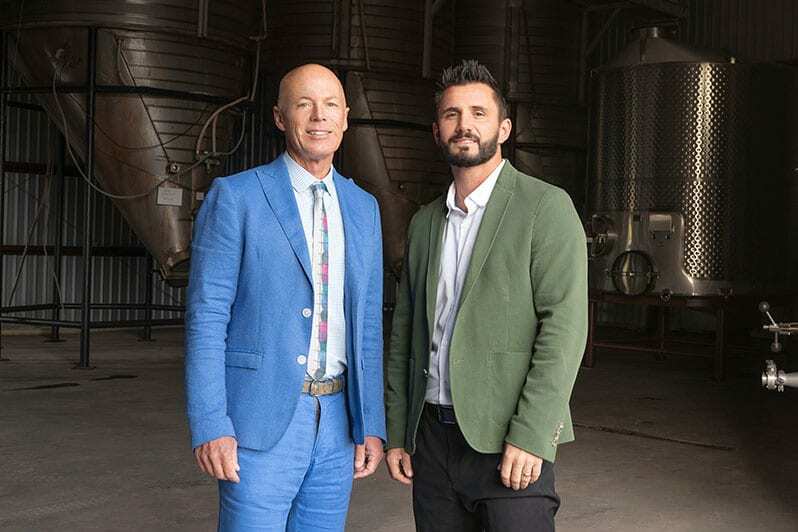 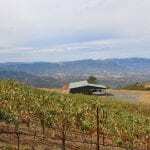 With 3-4 tons per year average being harvested from the vines, it gives the owner approximately 200-265 cases of estate wine annually, all grown on maymen-etsel-snook soil.